I witness families suffering in isolation all the time, and I know firsthand how hard that can be. Seeing families suffering in isolation grabbed my imagination so much that I wanted to get these tools in as many people’s hands as possible. 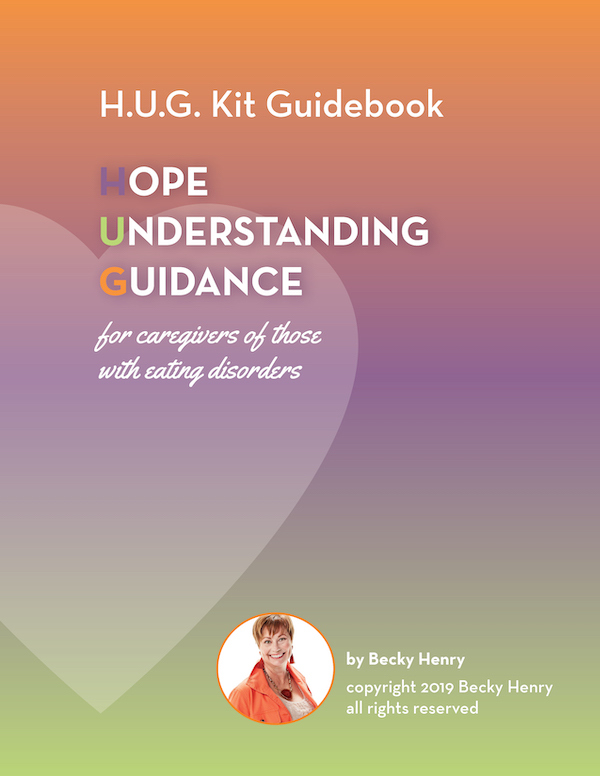 I imagined and created a simple, cost effective way to get these antidotes into family caregiver’s lives and created the HUG Kits. 3 powerful resources ensure you’re part of a community who gets it and you’re not alone. 1: A Physical Copy of Just Tell Her To Stop: Family Stories of Eating Disorders. 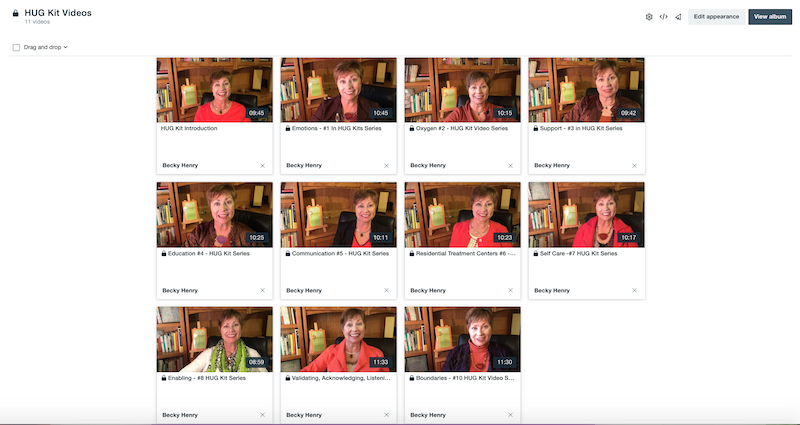 2: Link to 10 Videos – 10 essential, specific, powerful tools for coping. 3: PDF Guidebook – deepen learning on the 10 essential, specific, powerful tools for coping by writing plans to take action and move forward. Give yourself a HUG and become a calm, compassionate, confident caregiver. Once you have made your purchase, you will receive an email within 60 minutes that has the PDF of your guidebook, and the link to your videos. Your book will be shipped via the distributor immediately upon receipt of purchase.